This diminutive saw-whet owl was the ninth bird to join our other birds of prey that make up the Draper Museum Raptor Experience. 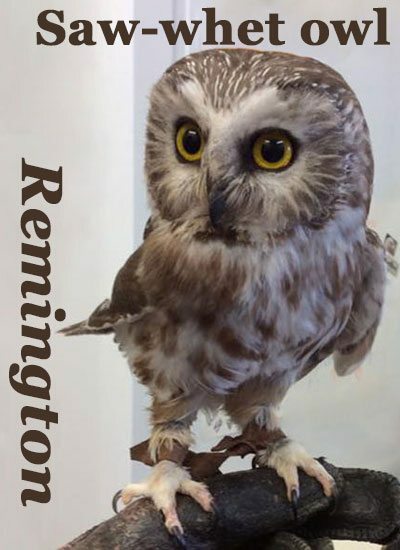 This little avian ambassador’s name is Remington. As with all the birds of the Raptor Experience, this one cannot be released into the wild. He suffered permanent wing damage, and was in fact found hanging by a wing before he was taken to Second Chance Wildlife Rehabilitation in Utah. Once he was fit to travel and the Raptor Experience had secured the necessary permits, he came to live at the Center of the West in May 2016. The saw-whet owl is just a few inches tall, with a fluffy head of feathers that makes him look top heavy. Many describe the saw-whet as “bursting with attitude.” Weighing in at roughly three ounces, this North American native is one of the smallest birds of prey. 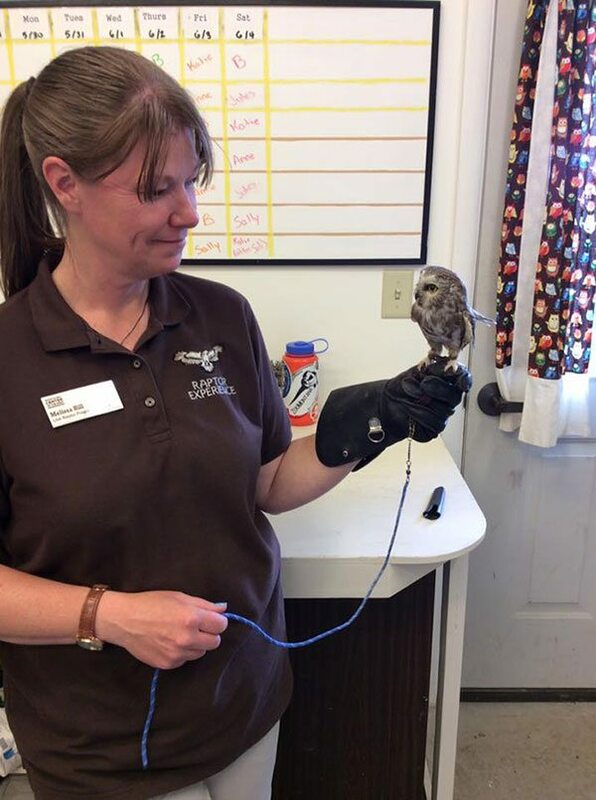 Remington perched on Assistant Curator Melissa Hill’s glove, show just how how small the saw-whet owl is.